Founded in 1999, FXCM partners with Friedberg Direct to provide Canadian residents access to FXCM’s suite of products. FXCM Canada’s retail and institutional traders benefit from the powerful trading platforms and large network of forex liquidity providers. FXCM Canada features award-winning web and mobile platforms that boast one-click order execution and real-time charts. Get the best prices with access to numerous liquidity providers. 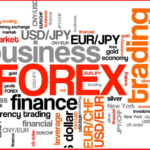 FXCM Canada offers competitive spreads for major and minor currency pairs, such as USD/JPY and AUD/NZD. Capitalize as currencies move up and down. FXCM Canada offers CFDs for a range of financial products. See what you can do trading stock indices, energies, metals, and treasuries. FXCM Canada has an abundance of education resources, such as free courses on forex trading and industry news and research. Use this information to beat the market. FXCM has received numerous industry awards, including Best Foreign Exchange Specialists from Technical Analysis of Stocks & Commodities. Friedberg Direct — the partner of FXCM Canada — is a division of Friedberg Mercantile Group Ltd., a member of the Investment Industry Regulatory Organization of Canada (IIROC). All accounts are protected up to $1 million. A family-owned business, Friedberg is one of the oldest, largest, and most reputable forex brokers in Canada.